Horace “Buddy” Matthews, Jr., 88, of Plainville, passed away with his family beside him on Wednesday, January 16, 2019. He now joins his beloved wife, Jeannette (Ramsdell) Matthews, who predeceased him in 2013. Born in Trescott, Maine on September 6, 1930, he was the youngest child of the late Horace and Winifred (Meyers) Matthews. He was raised and educated in Lubec, Maine, where he met his true love, Jeannette. Horace proudly served his country in the U.S. Army, serving in Germany during the Korean War. Upon being honorably discharged, he and Jeannette were married, and settled in Connecticut in the early 1950’s where they raised their five daughters. A man of hard work ethics from a young age, he began with raking blueberries and chopping wood in Maine, to becoming a master machinist and centerless grinder, working for many area tool makers until his retirement at the age of 83. 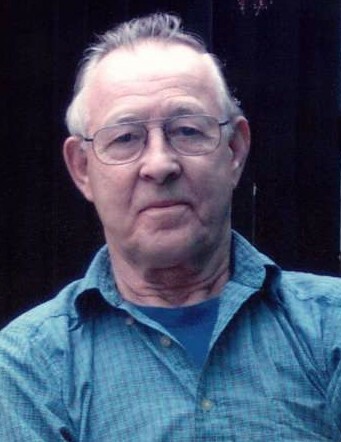 An outdoors enthusiast, Buddy had a lifelong love for hunting, a hobby he passed along to his grandsons, enjoyed playing golf, and taking annual trips to the Bahamas with Jeannette for more than 25 years. The paramount story teller and the master at scaring all three generations of his family, he will forever be remembered for his wittiness, (answering every question with a smirk and one word, “naturally”), his strength, persistence and love. He is survived by his daughters, Terri Nichols and her husband, Richard, of Plainville, with whom he made his home; Peggy Sue Casarella and her husband, Bill, of Southington, Kimberly Mathews and her husband, Shawn, of Canada, and Tracey Matthews and Stephen Gaylord of Southington; and his 11 grandchildren, 16 great-grandchildren, and 4 great-great grandchildren, who will miss their Beepa. He also leaves many nieces and nephews, along with the dozens of well - fed squirrels that visited his deck each day. He was predeceased by his daughter, Elaine Fiorello, and his four siblings. Family and friends may gather in celebration of Horace’s life on Tuesday, from 4-6 p.m. at Plainville Funeral Home, 81 Broad St, Plainville. Words of remembrance will be shared at 6:00 p.m.